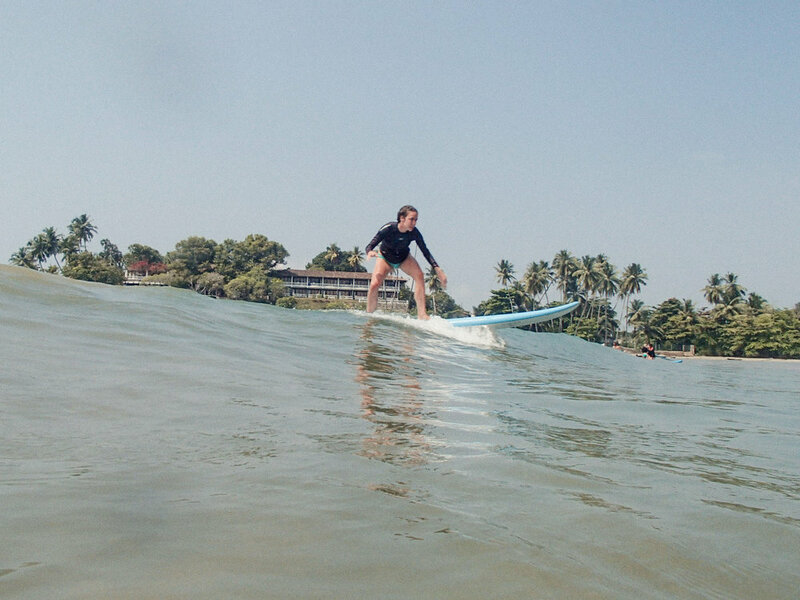 Surf Lessons and Tours, From Hikkaduwa to Arugam Bay, we operate in all seasons. Includes and instructor, board hire and refreshments. The surf is a huge draw to our beachside town, and there are a variety of surf spots to choose from during High season. Hikkaduwa is also a great place to learn, and when things get rough from time to time for beginners, we have the great Devata Beach in Galle, just a short Tuk tuk or scooter ride away! Lessons include instruction by Amila and board + Rash Vest hire. Our aim is for you to not only have fun, but to discover a new passion for a sport you can enjoy around the world for years to come. If you are interested in booking Amila for lessons, give us a call or drop us a line! We focus on building your confidence, making you feel comfortable in the water, and want to help you improve day by day through observing you and giving feedback. Most importantly though, we want you to enjoy yourself!